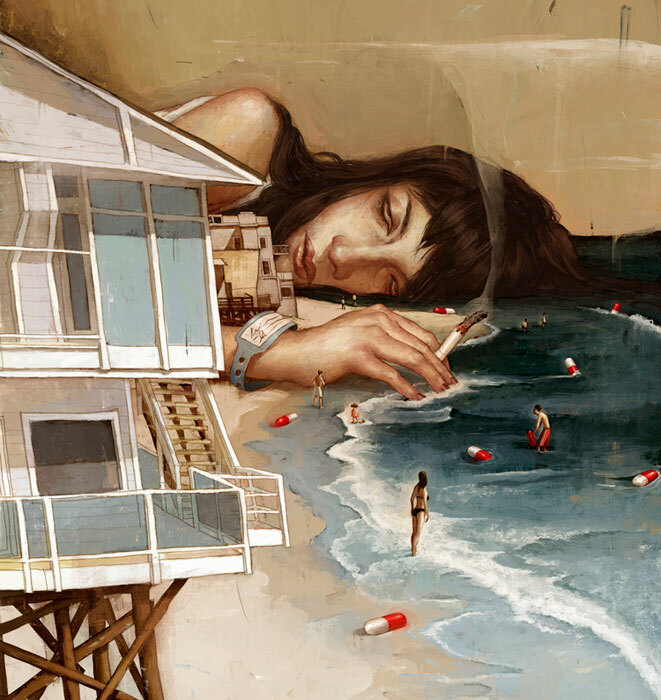 Levy Creative Management artist RORY KURTZ creates a captivating piece for Malibu Times Magazine. 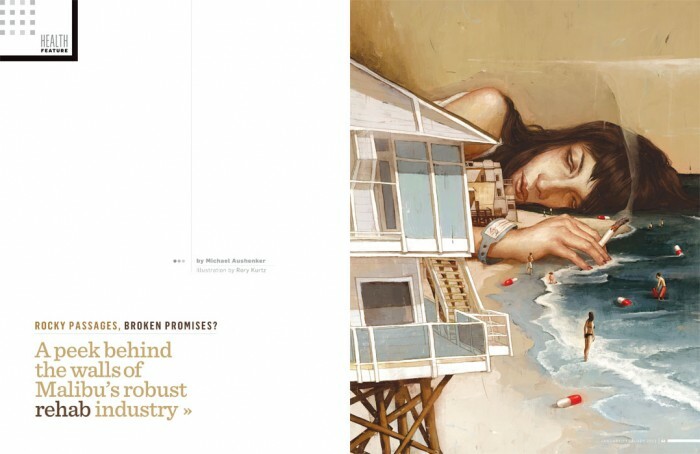 This piece “Rocky Passages, Broken Promises” takes a peek behind the walls of Malibu’s robust rehab industry. I think the illustration says so much about this subject & the perspective and mood just adds to it. Following is the layout and final illustration.